The topic of hair is one that is constantly evoked on various platforms. From conversations on the political correctness of referring to ‘black’ hair as ‘ethnic’ , the traditional school rules being called out on the basis of discrimination, to artists’ singing ‘don’t touch my hair’ in relation to the growing concept of Afrofuturism. The depiction and reference of female hair continues. 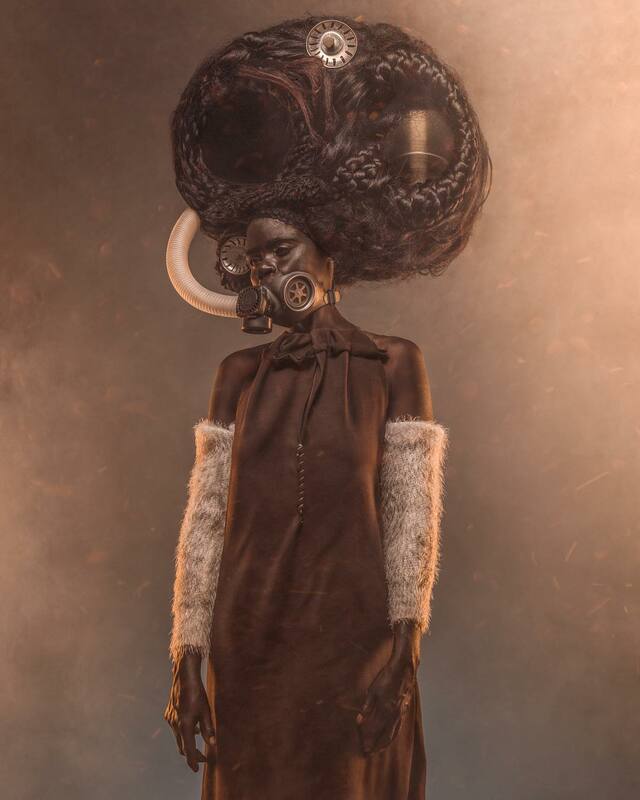 Artists are embracing characteristics and elements of hair strength, diversity and transformative qualities embodied by female characters and in most instances the depiction of female strength. Creatives such as Lisa Farral’s representation of female strength with a futuristic, cultural aesthetic in her collection Armour. Books such as ‘African hairstyles, styles of yesterday and today’ by Esi Sagay have set the tone to the curation, exploration and depiction of woman’s hairstyles in Africa. So we continue to see the growing narrative in photography. Salooni is an artistic exploration, installation which explores the politics woven through straightening out of black woman’s hair. Founded by four Ugandan female artists. Salooni was a series of spoken and unspoken theatrical performances, short films and photography of black people’s hair. 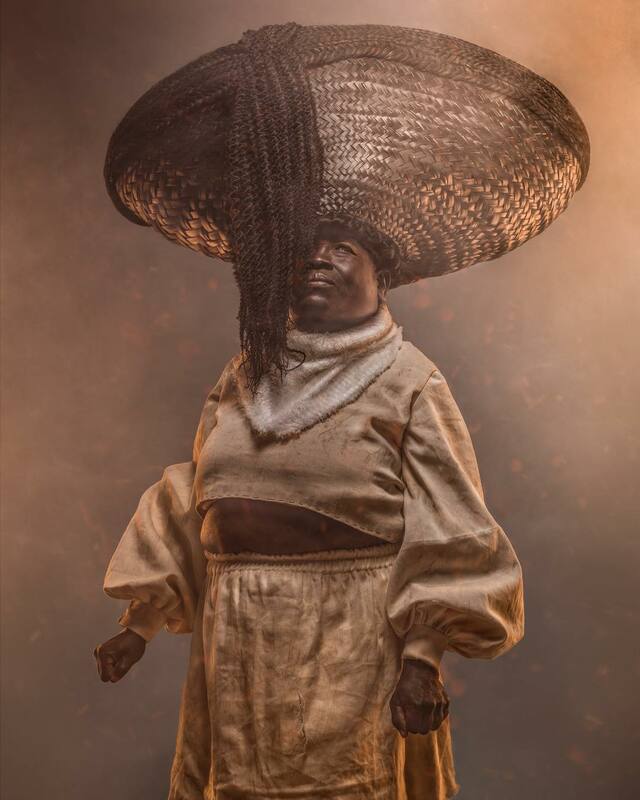 The Salooni ‘Timeless’ photo project saw each artist select a hairstyle and depict its existence through time. 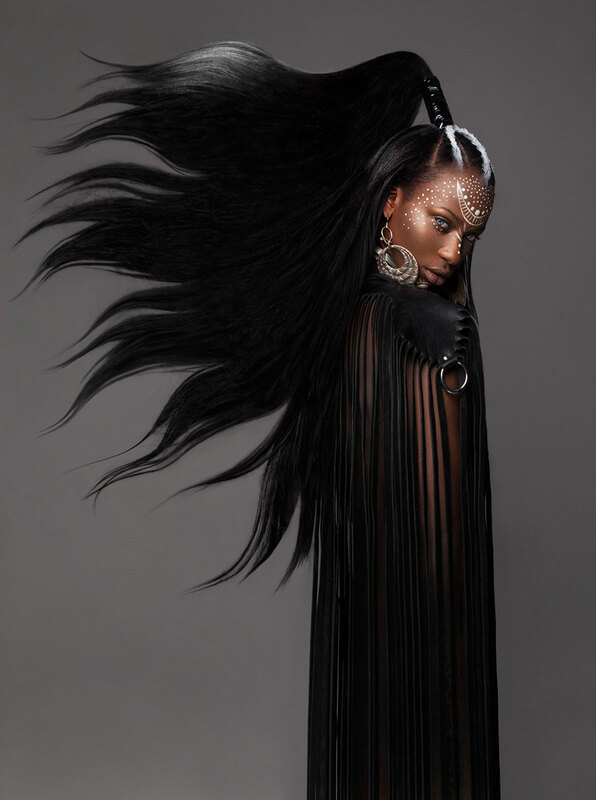 The well-known Kenyan photographer Osborne Macharia in collaboration with hairstylist Corrine Nyumbo created Kipiriri 4. The fictitious photo series pays honour to the Mau Mau female freedom fighters who contributed to Kenya’s independence in 1963. The four characters each have majestic manes that highlight their strength and skill within the group. 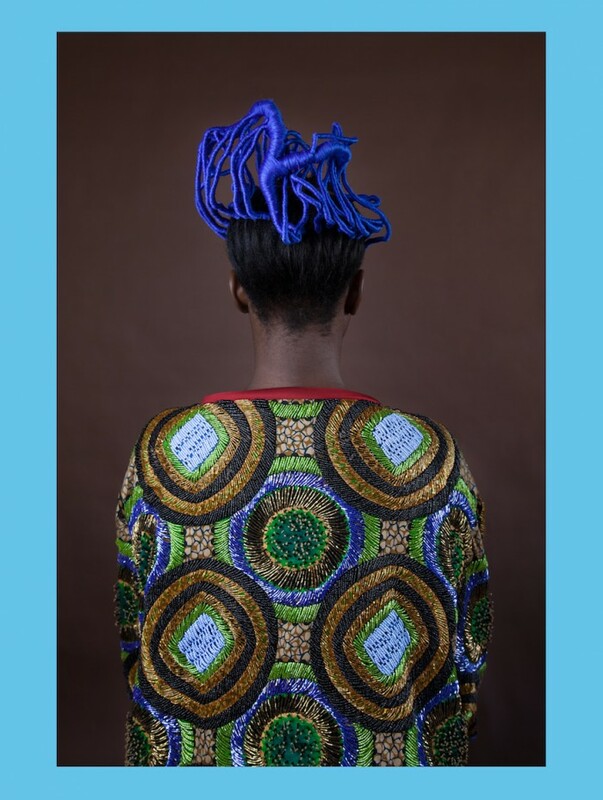 Nigerian based photographer Medina Dugger is celebrating and continuing the visual narrative of Nigerian hair. With her homage Chroma: An ode to J.D Okhai Ojeikere. 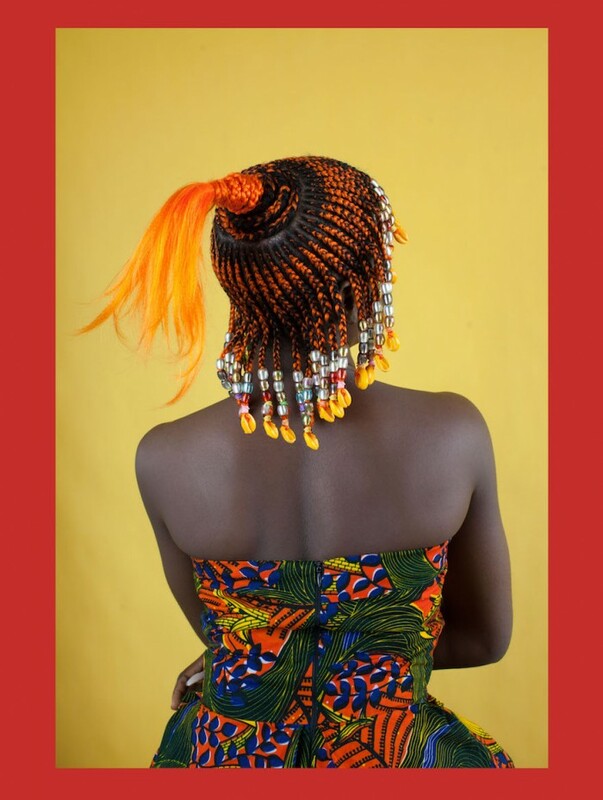 The tribute to the late Nigerian photographer is captured through the colourful, vibrancy and celebration of the current art of Nigerian hair culture.